Fatigue is a growing problem affecting the workforce. Research estimates that 13% of workplace injuries can be attributed to fatigue. 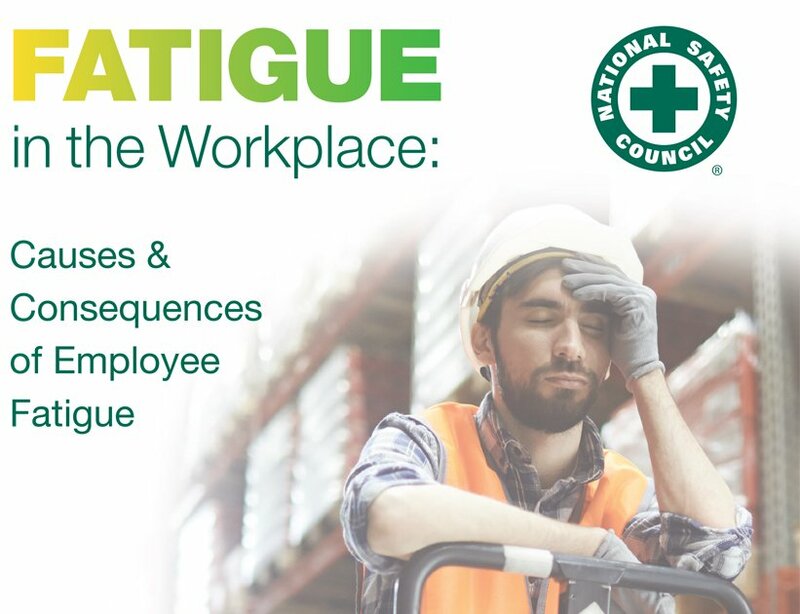 A new report from the National Safety Council, Fatigue in the Workplace: Causes and Consequences of Employee Fatigue, breaks down a probability-based survey of more than 2,000 working adults and their experience with fatigue. The report shows that 97% of workers have at least one workplace fatigue risk factor, while more than 80% have more than one risk factor. When multiple risk factors are present, the potential for injuries on the job increases. Fatigue can have detrimental effects on a person’s health and safety both on and off the job. It is a problem that has, in the past, gone largely unaddressed. This report is the first in a series of reports to be released by NSC on the prevalence of fatigue in the American workforce. It can be used as a tool to educate employers on this critical safety issue.